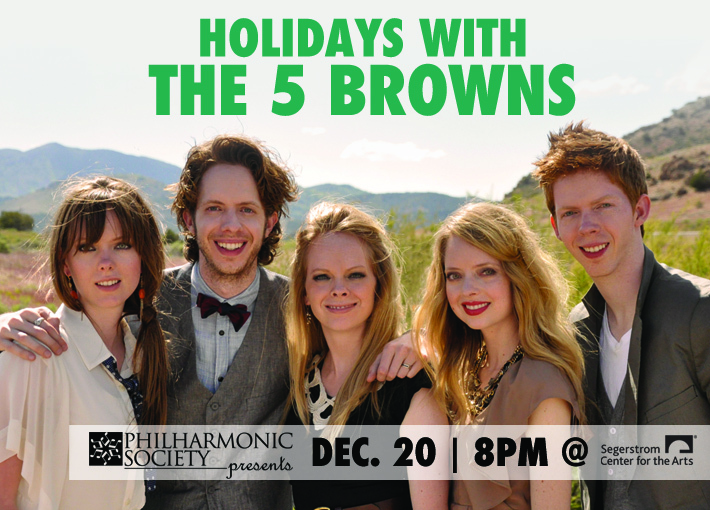 An extraordinary holiday experience, five Steinway pianos fill the concert hall stage as the widely celebrated quintet of piano-playing siblings known as The 5 Browns perform beloved holiday music from Bach, The Nutcracker, A Charlie Brown Christmas, and Leroy Anderson (Sleigh Ride). More Information. YOU MUST CHECK THE BOX ABOVE TO QUALIFY TO WIN.